I recently caught up with a sales rep for a Fortune 500 company that has rolled out an overly complex comp plan with a complicated series of multipliers and significant number of SPIFFs (Sales Performance Incentives. For Fun!) and exceptions. The most recent revision of the comp plan was pushing a particular product – if you sold module X, your commission for the entire deal would be 20% higher. It’s an interesting idea in theory, but whoever designed it didn’t think through the practical implementation. This sales rep knew his clients didn’t need that module and wasn’t going to force it on them. Instead, he attached that item to every single order for the 3 months the SPIFF ran, discounted it 100% and took an extra 20% commission on the other items. You can’t blame him – he did what was right for the customer and gamed the system of a poorly designed comp plan. This is just one of many stories I could share. 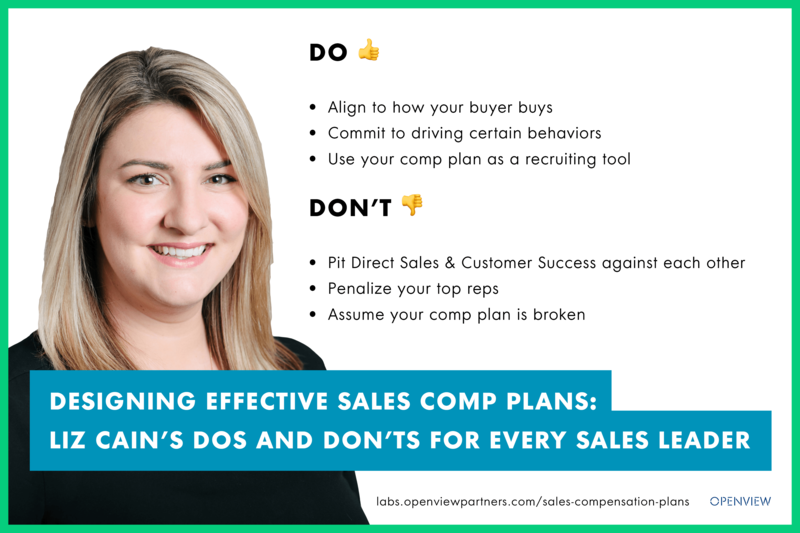 In fact, the #1 question I’ve received in the last few months from founders and heads of sales is how to build out or update a comp plan for their direct sales team. Writing an effective Sales Incentive Plan (SIP) has become overly complicated and there are just too many options. On one end of the spectrum I see companies with complete focus on logo acquisition. Direct sales reps get comped on the initial sale and hands the customer off to Account Management on day one. At the other end of the spectrum, I see plans that pay a low rate on all transactions in perpetuity. There are many options in between and it’s difficult to determine what’s right for you. So what has my own experience in sales and all of these conversations with reps and leaders taught me about building out sales comp plans? Let’s take a look. This is my #1 rule in sales compensation. If you don’t take anything else away from this article, take the time to inspect your data and understand the natural buying process of your customer. Do your most successful customers start with a POC, land and expand, and add modules/users/etc. over time OR do you have one shot to maximize your sale? If you do have a land and expand model, what drives that expansion – buyer, user or product? Between your data and your team you should be able to come up with a few hypotheses. From there, we recommend talking to your customers and lost prospects to validate. If the most natural path to a successful customer is to land with one area of your product and grow the account over time, you need to ensure that your sales team is incentivized to do that – do not pay them less for an upsell OR tell them they can only upsell for the first 3 months after purchase if you know that will put undue pressure on the buyer. You have to consider the customer experience when writing your SIP. What are the key behaviors you are trying to drive? You need to decide what you are optimizing for – new logo acquisition, deal size, multi-year contracts, payment terms, etc. You can’t incentivize everything at once and the behavior you need may change over time. For example, as an early stage startup, your goal may be coverage – you need to land as many logos as you can to beat out your competitor and grab market share. Or, perhaps your product has a viral aspect and the more people you get using your product the more you can capitalize on network effects. Or, maybe you sit at the opposite end of the spectrum and only want to close a few key customers off of an approved target list to ensure your services team can properly deploy and implement those large customers. Whatever it is you decide is your priority, your comp plan has to align to the company strategy, BUT you don’t need to rely solely on your SIP to do this. You can also roll out SPIFFs for short periods of time to incentivize new/different behavior. For example, let’s say you want to bump cash flow and minimize deferred revenue – pay a higher percentage or one-time bonus for deals that are closed on annual upfront payment terms. Or maybe you want to get the team rallied around driving new logo acquisition at the end of a quarter – SPIFF it. Now that you understand how your buyer buys and the behaviors you want to incentivize, you need to make sure you aren’t creating competing incentives between teams internally. Think about how many people touch your customer from the first conversation to first renewal – A BDR likely takes the first call and sets up a demo with an Account Executive and you may or may not pull in executive support or solution consulting during the sales cycle. As you move forward with the implementation you introduce a project manager, consulting team and/or a customer success manager. At some point an Account Manager gets involved to renew and upsell the customer. And how many support tickets did they log during that time? Add the complexity of compensation into the mix and you could very easily engineer a terrible customer experience. The key is to align comp plans across your customer facing teams to ensure you enhance the customer experience, while maximizing growth potential. For example, you might pay your Direct Sales Reps on the initial sale and any upsells for the first 6 months, but introduce an Account Manager on day 1 post-sale so there is a continuous relationship leading up to the renewal. 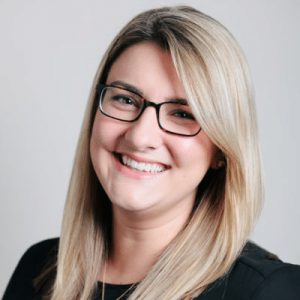 In this scenario your Direct Sales team is incentivized to stay involved and upsell through initial implementation, while your Account Managers have the opportunity to build a relationship long before they are tasked with renewing the customer. Put yourself in the shoes of your newest sales rep – do you know how to maximize compensation? Sales incentive plans should not have more than 3 components. On any given Tuesday a sales rep should know his or her current quota attainment, what commission they have earned for the period and what they will make if they close the next deal. If you can’t do this “back of the napkin” math, you’ve made it too hard. If you design a strong comp plan that benefits both your sales team and company, you have a unique opportunity to highlight it in your recruiting process. Salespeople want to work for a company where they believe in the market, technology and team, enjoy selling to the particular buyer and where they can make money. I’ve fielded too many calls from candidates who tell me they received an offer from a startup where the variable comp structure will be decided later, and worse, where they’ve been working for a company for 2, 3, 4 months and they still don’t know how they will be paid commission – that is unacceptable. A great sales leader will be transparent, share the details of the plan (highlight the upside! ), and be honest about historical ramp time and expected attainment of the team. It’s not always easy to do in early-stage businesses, but if you handle it correctly, you’ll score top talent and ensure your expectations are aligned from the get go. Why do caps still exist? Sure, in an ideal world you would have an entire team of reps hitting 100% of their quota exactly and your cost basis and revenue stream would be highly predictable, but that’s not reality. You’ve heard of Pareto’s Law? 20% of your salesforce will generate 80% of your revenue – scary. Maybe it’s not quite that drastic for you, but I bet it’s close. You need to keep your top reps motivated – motivated to keep selling when they hit their quotas and, more importantly, motivated to stay with you for the long term (tenure is directly linked to performance for most companies). Eliminate caps and ensure you’ve designed a comp plan where you are incentivizing each and every sales rep to bring in the next dollar. You should also think about how to incorporate accelerators into your plan and whether they are monthly, quarterly, annual or some combination thereof. Before you start making adjustments to your current plan, ask yourself…What’s NOT working with our current structure? Don’t throw away a plan that’s mostly working to start from scratch. You can make small tweaks or layer in SPIFFs if you can identify the gaps. Correctly compensating your sales team is crucial to the success of your reps and ultimately your company. Following these dos and don’ts should have you closing more deals than ever!